If you could make a wish, what would it be? And at what price? This is the darkly funny tale of homeless Rosa Lee, and 12 year old Marika, who watch over the River Thames hoping the mermaid will appear, and make their dreams come true. But when Marika vanishes one night, Rosa Lee finds herself under the suspicions of the police. 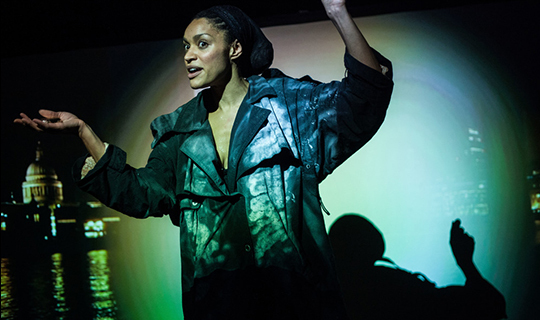 Solve the puzzle in this piece of family theatre that whisks you from London to the Caribbean through projections and sensuous siren songs; a modern-day Grimm fairytale of belonging, mixed-race identity and sacrifice. And whatever you do … don’t let The Mermaid lure you in.